Inspired by the splendour of Venice, The Venetian Hotel & Casino, is a stunning and opulent resort hotel located on the Las Vegas Strip. 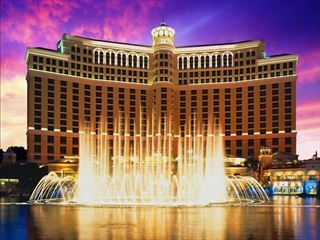 The Venetian is an all-suite hotel and each boasts amazing sumptuous luxurious settings. This fantastic, beautiful casino resort is a tribute to Venice itself, with accurate, near-scale replicas of Venetian landmarks and artwork built into the hotel’s stunning architecture. One of the most memorable aspects of visiting the Venetian is a gondola ride on the canal that snakes through the resort, including the length of the enormous shopping mall. The 4,027 luxury suites twice the size of the typical Las Vegas room, and all offer the most indulgent amenities with oversized marble bathrooms, spa-inspired amenities and impeccable service for the most exquisite stay. Try your luck at one of the table games or slot machines in the extensive casino or watch a fantastic show. Indulge in a treatment at the Canyon Ranch Spa or visit the beauty salon. Relax in the three swimming pools, hot tubs or in the lounge pool. Sip a hand-crafted cocktail or join a lively drinking game at one of the 5 bars and when you get hungry, choose from one of the 33 fantastic restaurants, all with a huge range of cuisines and atmosphere. 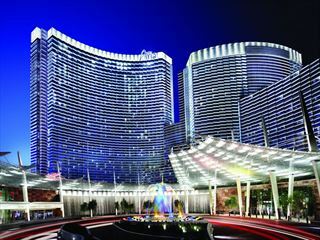 This spectacular casino resort is located on the Las Vegas Strip, neighbouring The Palazzo and Sands Expo Convention. Venezia Suites - The new Venezia tower offers the finest in personal service and facilities. As an exclusive facility within The Venetian, Venezia grants guests a separate environment and a distinctive experience with the utmost in comfort and friendly hospitality. Who would you like to meet at the World Famous Madame Tussauds Las Vegas? Featuring lifelike wax creations of your favorite celebrities, you’ll feel like you’re on the A-list. Madame Tussauds let’s you “grab hold” of your favorite stars. The Venetian Resort-Hotel-Casino hosts famous Vegas shows such as The Phantom of the Opera and Blue Man Group, and entertainer Wayne Brady. It is also home of Tao, one of the most dazzling Las Vegas night clubs. Canyon Ranch SpaClub®.The 69,000-square-foot Canyon Ranch SpaClub® is a leading-edge health spa and fitness oasis. The Venetian offers a beautifully landscaped, five-acre rooftop deck complete with swimming pools, hot tubs, and private cabanas. Each of the three pools is located outdoors. Relax in up to four feet deep pools, or try the lounge pool, where the water level rises just above the custom lounge chairs, creating a soothing soak. Select pools are open and heated in the fall and winter months. The Venetian Pools will be under renovation commencing after Labor Day in September 2018 until mid-spring/summer 2019. Construction noise will be intermittent. Depending on the location of your suite, guests may hear some construction noise during their stay. Construction hours are scheduled from 9:00 a.m. to 9:00 p.m. and the hotel will do everything they can to minimize any guest impact. 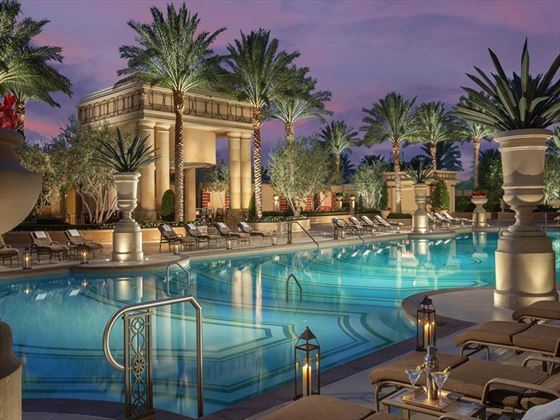 Nine pools across the resort will be open for guests, seven at The Palazzo, and two at the relaxing pool garden in the Venezia tower. From a large resort-style pool, a private cabana or a smaller more intimate setting, there will be a pool experience designed to suit your pleasure.